Obviously the raaga is the same as Mani Kaul was majorly inspired by the kind of film-making which Bresson had actualized. But when Mani Kaul sings it there is something of Mani Kaul which seeps into the raaga making the rendition of it a Mani Kaul experience. That is the signature of Mani Kaul which comes from something unique to Mani Kaul. Mani Kaul while a student at the Film Institute was extremely close to master filmmaker Ritwik Ghatak who then used to teach at FTII. 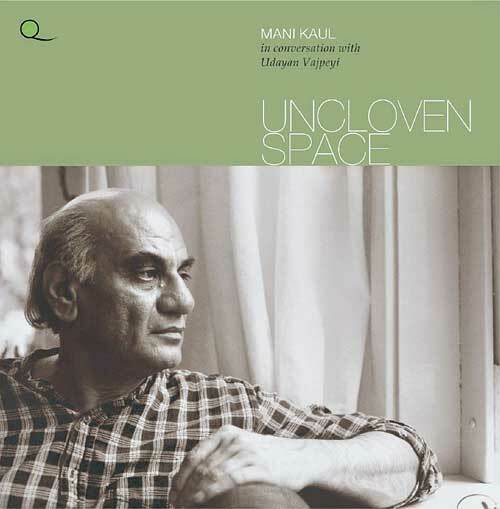 Mani Kaul was one of his closest disciples. This can be hardly made out while watching the films of Mani Kaul for Mani Kaul went on to learn all that is possible from Ghatak and find his own kind his own style his own method his own flavor. If I am not wrong it was Heiner Muller was said that the actual way of being loyal to Bertolt Brecht is by being critical of him and by abandoning him. What, I think, Heiner Muller said by abandoning Brecht is to find your own voice, find your own swabhaav, find your own uniqueness and find your own originality. Mani Kaul was not just searching for his own swabhaav, it appears, but also for the swabhaav of the medium of cinema!